Electrical contractor software is taking the contracting industry by storm. 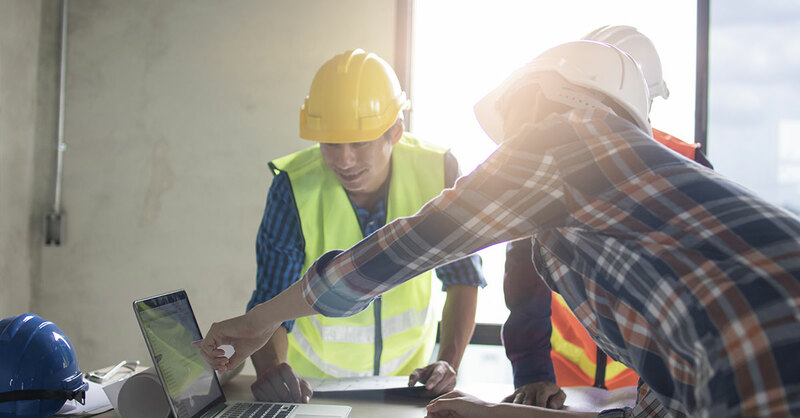 Between now and 2021, Construction Dive reports, almost 75 percent of all contractors — including electrical contractors — will adopt construction software to improve jobsite productivity. 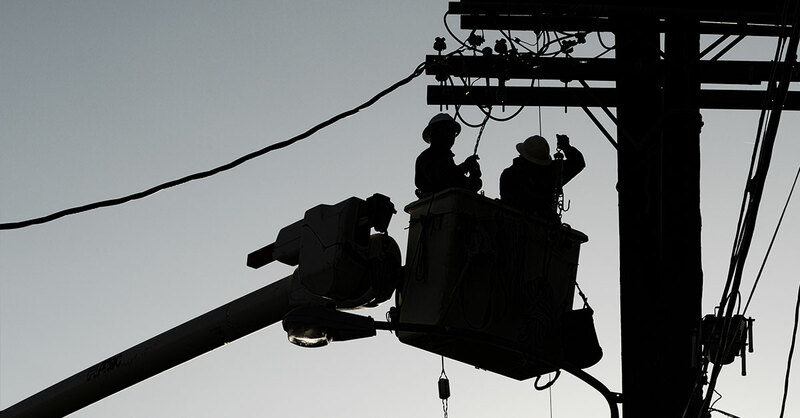 According to the Associated General Contractors of America, the adoption of such technology will “prompt a significant transformation in the way projects are built.” Adopting electrical contractor software like Fieldwire will empower electricians to go paperless in the field, and, in turn, improve jobsite productivity. Fieldwire is one of the best apps for electrical contractors, but don’t just take our word for it. ABCO Electrical, DC Electric, and Blue Mountain Electric are three U.S. based electrical contractors already using Fieldwire to simplify jobsite processes. As a result, they’re saving time and money on electrical projects and operating far more efficiently — both in the office and in the field. Once the team realized they could use electrical apps to view their plans on an iPad or iPhone, instead of flipping through hundreds of physical files, the adoption of electrical contractor software was immediate. It’s clear that ditching paper plans will save you time and money onsite, but what about all of those other paper forms electricians and electrical contractors still carry around? Think daily reports, safety audit forms, QA/QC inspection checklists, RFIs, timesheets, and T&M forms. Can they be digitized and accessible on mobile as well? The answer is yes. Fieldwire’s electrical contractor software is pre-loaded with six types of construction forms, meaning electrical contractors can fill-out forms and reports from any location and on any device. Fieldwire also offers a custom form builder which allows electrical contractors to customize pre-existing forms to suit the way they already operate or build their own construction form entirely from scratch; a process that’s saved DC Electric 10-15 hours per person each week. Using Fieldwire’s custom form builder, DC Electric contractors are able to build and submit digital forms from the same platform they’re already using to manage plans, punch lists, and tasks each day. For productivity to remain high onsite, electrical contractors must be equipped with the tools they need to communicate tasks in real-time. When there is a delay in information, production often slows down, and projects run over schedule. 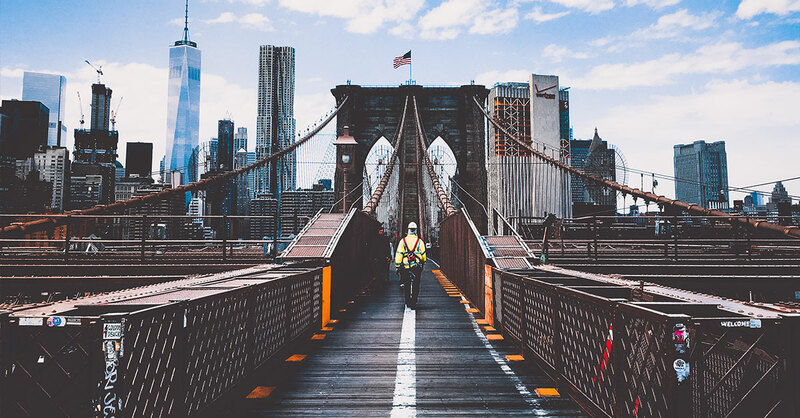 In fact, McKinsey & Company estimate that large construction projects typically run 80 percent over budget and take 20 percent longer to complete than originally scheduled. Using electrical contractor scheduling software that keeps contractors focused on their tasks — for any given day, week, or month — will help reduce that number significantly and keep production moving. Electrical scheduling software doesn’t have to be complicated either, sometimes all it takes is a simple ‘@’ symbol. Fieldwire’s contractor management software is used on more than 300,000 projects worldwide — not only for mobile plan viewing and simple task management, but for scheduling, inspections, reporting, and more! To learn more about Fieldwire’s free electrical contractor software and to see how it can benefit you, please request a demo today and start working towards a paperless jobsite. Here at Fieldwire, we’re always working to make our platform better for all of our customers who rely on it throughout their days. In our most recent release, we announced the ability to build forms customized to match your exact jobsite processes, all managed within Fieldwire. Our new, real-time task dashboard helps users understand how utilized they are and how busy they’re about to be. 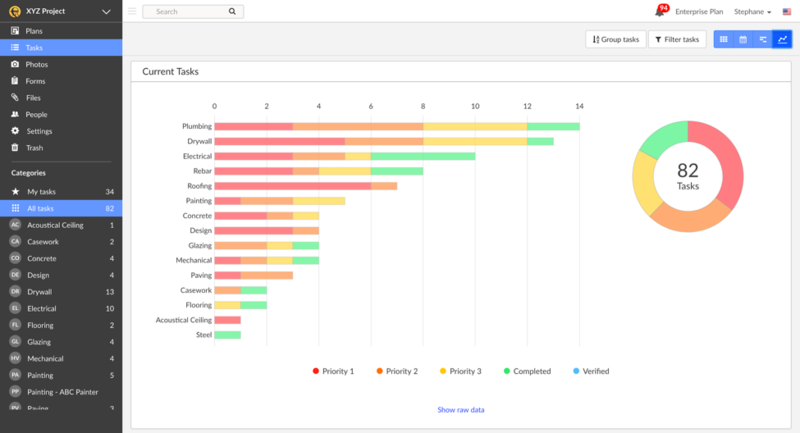 You can choose to see a breakdown of your project tasks — by category, assignee, plan, or location — to easily identify which area or user group requires the most attention. As part of our commitment to be the best and fastest mobile plan viewer, we are continually enhancing the process we use to upload plans. In this release, we allow you to see the upload progress status of large files (such as an entire set of hundreds of sheets) and to identify the folders and plans that require your attention (eg. to confirm plan names or resolve version conflict). Many of our users create a new project for each jobsite they’re working on and want to use their own internal project codes to sort and filter projects. 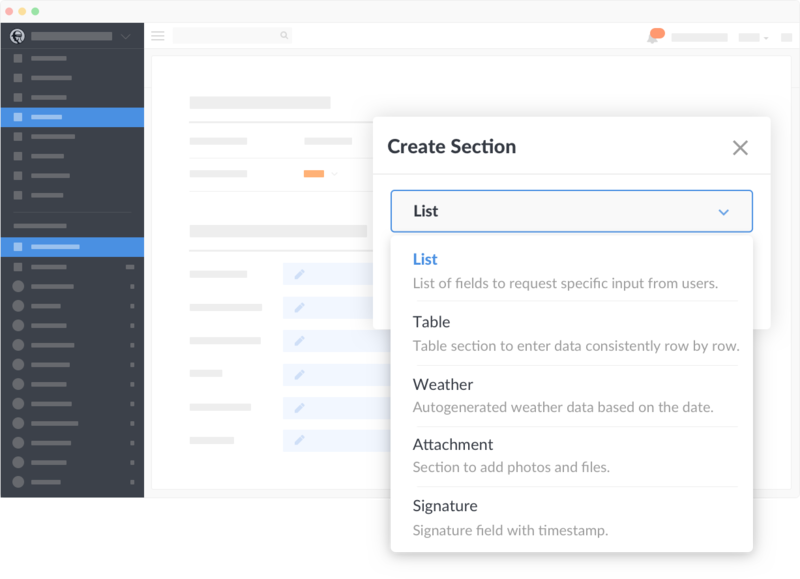 In this release, we’ve included an optional field for project codes so that you can insert whatever you need to make your life easier on-site. You’ve always used Fieldwire to add markups and notes on your plans; now you can do so on your other PDF files as well. For example, search a submittal for a key phrase, highlight it in red, and note any issues to interact with your files quickly and easily. This feature is available on web only in this release. We have always included photos directly in your project reports so that anyone can see what happened on the jobsite, regardless of if they’re a Fieldwire user or not. Now, anyone can access your 360° photos as well. Each 360° photo appears as a thumbnail with a link in your construction reports, and when anyone clicks on the link, the full pannable image opens in their browser, with no login required. Some of our customers allocate the price of Fieldwire back to each project or jobsite that uses it. We’ve made it easier to do this with a simple dashboard available to admins that shows how many users are attached to each project. Here at Fieldwire, we encourage users to submit their feedback and any ideas they have which could enhance our product even further. Please contact support@fieldwire.com to submit a request. For a full list of new features and enhancements, check out our support page. While filling out a construction daily report can be tedious and time-consuming, it’s also inescapable and extremely important. What is a daily report? Fieldwire defines a construction daily report as a record of field notes, including work completed, weather conditions, and materials delivered or used onsite. Daily reporting keeps the project management team — including the owner and general contractor — informed and aware of project progress. More importantly, daily reports can save key stakeholders a lot of time and money when the information contained in them is used to resolve litigation disputes. Despite being perceived as time-consuming and tedious, construction daily work reports should not take more than a few minutes to complete. 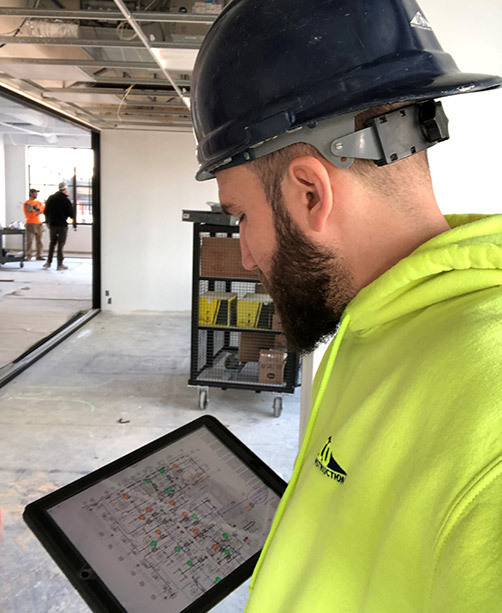 Field management software, like Fieldwire, which empowers workers to operate with ease onsite, allows specialty contractors to submit a construction daily report from any mobile device. 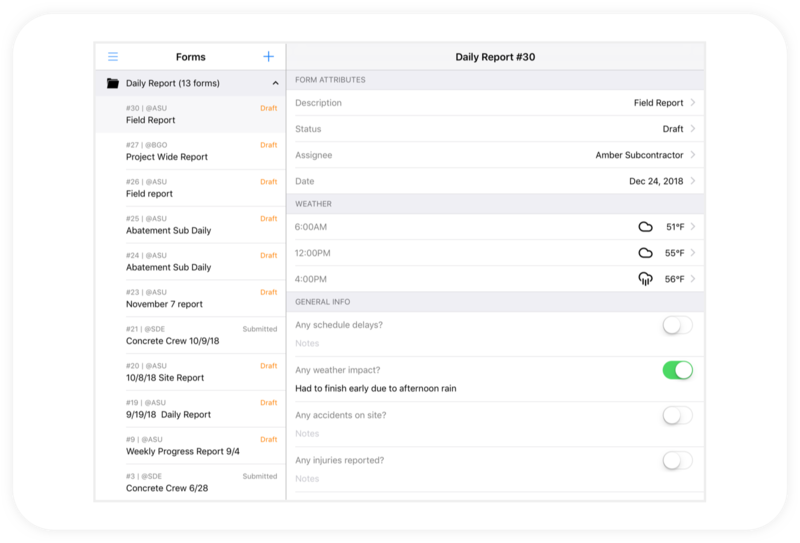 In just a few minutes, daily reports can be generated from any location in the field — significantly reducing office hours and eliminating the need for emails or calls just to communicate project progress. Reduce wasted time in construction with efficient communication and reporting software! Weather conditions, which can be input manually or automatically generated based on the project’s location. Information about schedule delays, conditions, accidents, and equipment or materials used. A log of work that was undertaken, including who did it, the time it took them, and any other additional notes. This information can also be reported in a time and materials (T&M) form, also supported in Fieldwire. Attachments such as photos and files that support the work log. Once all information for a daily report is supplied by the contractor, they can instantly notify the team in the office by clicking ‘submit’ within the Fieldwire construction forms app. The office team can generate a PDF report and send it to various stakeholders in just a few minutes — so no more hours wasted at the end of the day manually compiling lengthy reports! Automatically dated and organized reports. Trying to locate a daily report from days, weeks, or months ago is going to be extremely painful if you don’t have an organized history of reports. Just including the date on each report isn’t enough; you also need a searchable index in a single daily reports online database. Weather conditions. An accurate log of weather conditions can help jobsite teams explain construction delays and/or future defects, and should be automatically included based on location. If, for example, heavy rain impacts a general contractor’s trenching and shoring schedule, team members can look back at their daily reports and validate the necessary steps to get back on track. Clearly defined work completed. For key stakeholders to understand what progress is being made each day, workers must list all tasks completed (plus how long it took them to do each one) in a daily work log. This way, craftspeople in the field take ownership for their work and the owner’s office teams have a sense of project progress without physically being onsite. Detailed documentation. Before submitting your construction dailies, make sure you have included enough information — including files and project photos. This eliminates unnecessary questions being asked post-submission. Completing a construction daily report doesn’t have to be tedious and time-consuming. Accurate daily reporting is essential for the success of any project. For more information on Fieldwire construction daily reports, read this overview or watch this video online. 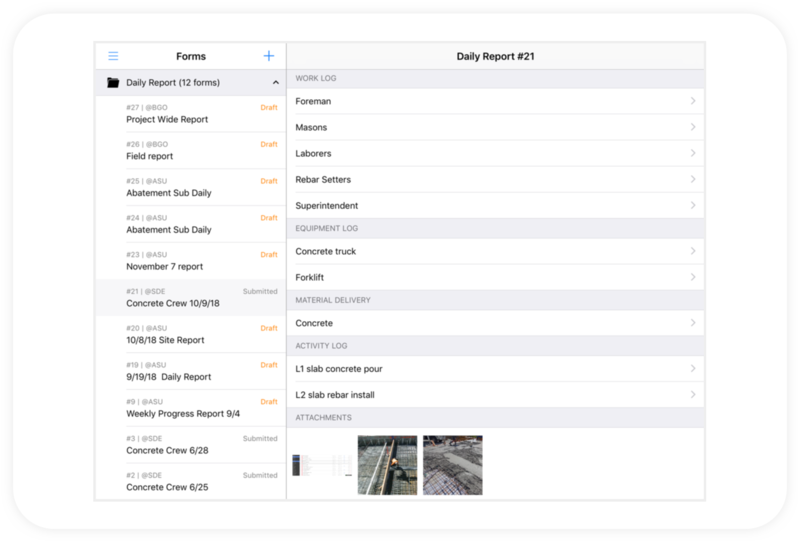 Daily reports are just one of six form types offered by Fieldwire’s construction forms app. If you’re new to the construction industry, I’m sure you’ve noticed that there are quite a few terms and acronyms that are regularly used while out in the field. It’s important to have a firm grasp on what each of these terms mean, so we at Fieldwire wanted to make sure we provided some clear descriptions for all of the jargon you need to know. Here are a few to get you going! 3 Week Look Ahead: The schedule that is published each week by the general contractor that outlines what is occurring in the next 3 weeks of the project. This is broken down into small, actionable tasks, as opposed to the main project schedule (which is the overall timeline). Change Order (CO): A change to the original contract scope of work, resulting in either an increase or decrease in project costs and/or schedule. This could be issued by a client to the general contractor or the general contractor to a subcontractor. Close Out: A phase that encompasses the end of a project. This consists of punch lists, O&M manuals, as-builts/record drawings, warranties, and the overall completion of project work. Contract Drawings: The conformed set of drawings that represents the entire contract scope. IR: This stands for “Inspection Request,” which is a form required by independent third party inspectors to confirm an installation detail or method. Often used for work such as welding, anchoring, and concrete pours. O&M Manual: This stands for “Operations and Maintenance” manual, which is an instruction guide to running and servicing the building. The O&M manual is given to the owner at turnover. PPE: This stands for “Personal Protective Equipment,” which is basically the proper attire for the job. Such equipment often includes a hard hat, hard-soled boots, reflective vest, safety glasses, long pants, and a shirt with at least 6” long sleeves. Procurement Log: A spreadsheet that tracks how long it will take for certain materials to be delivered on-site, especially those with long lead times. It tracks when the submittals for these materials need to be approved so that they can be ordered for fabrication and delivery. Some examples of items that may be on a procurement log are structural steel, HVAC equipment, lighting fixtures, and custom cabinetry. Project Schedule: The contract timeline for the duration of the project, usually in Gantt chart format showing relationships and the critical path (what items are driving the overall schedule). It is generally composed of long duration tasks, sorted by scope and location, as opposed to the 3 week look ahead (which is very detailed and short term). Punch List: A list of all items that need to be fixed before the building or project can be turned over to the client. Punch list items are also known as snags or deficiencies, and include things like paint scratches, damaged siding, cleanup, etc. This process comes at the end of the project after a preliminary walkthrough of the job site. The final punch list is usually tied to a cost withheld from the contractor until it is completed and verified. QA/QC: This stands for “Quality Assurance/Quality Control,” which is the formalized process of confirming proper installation methods and materials on-site. RFI: This stands for “Request for Information,” which is a formal question to the design team, client, or general contractor that will likely affect the contract scope, drawings, and/or specifications. The response to an RFI acts as a contract change and could result in a change order. Specifications: The instruction manual that is paired with the contract drawings. It includes information such as installation procedures, product brand requirements, and testing requirements, to name a few. It is separated out by CSI (Construction Specification Institute) divisions, generally starting with 01 00 00 through 33 00 00. Submittal: A document that is prepared by the installing contractor that indicates the products and locations that will be procured and installed. The document will need to be approved by the architect (and other applicable design team members), as well as the general contractor and client. An example of a submittal would be a cut sheet of the sink that will be installed in the bathrooms. Hopefully these definitions have established a solid foundation for all the industry lingo you’re bound to hear (and start using yourself). If there are others we’ve missed or that you’d like further clarification on, please let us know by emailing them to support@fieldwire.com.